Length of necklace is approximately 18 - 20 inches long. Looking for something really special? This piece could be just what you are looking for! 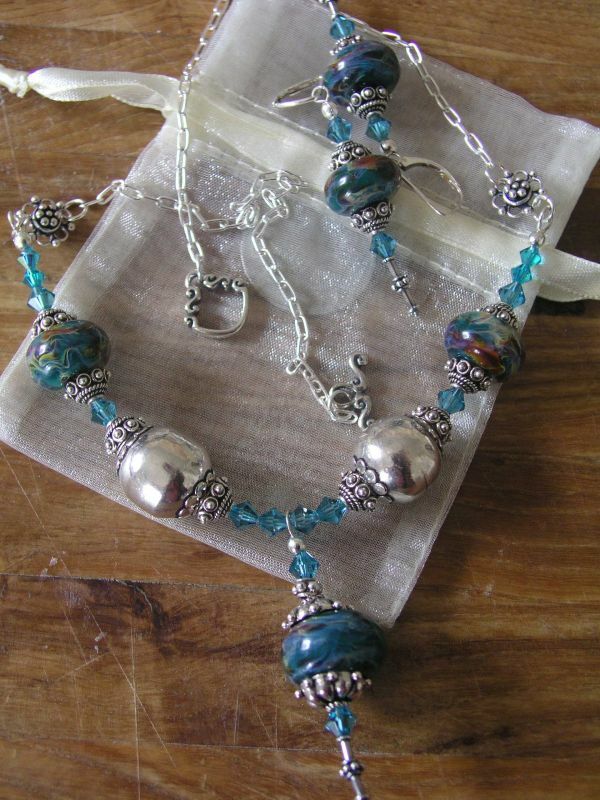 The ornate sterling bead caps and large shiny beads give this design a very regal feel. Adorned with Swarovski crystal and beautiful sterling connectors, this set will make you feel like the queen of the party!